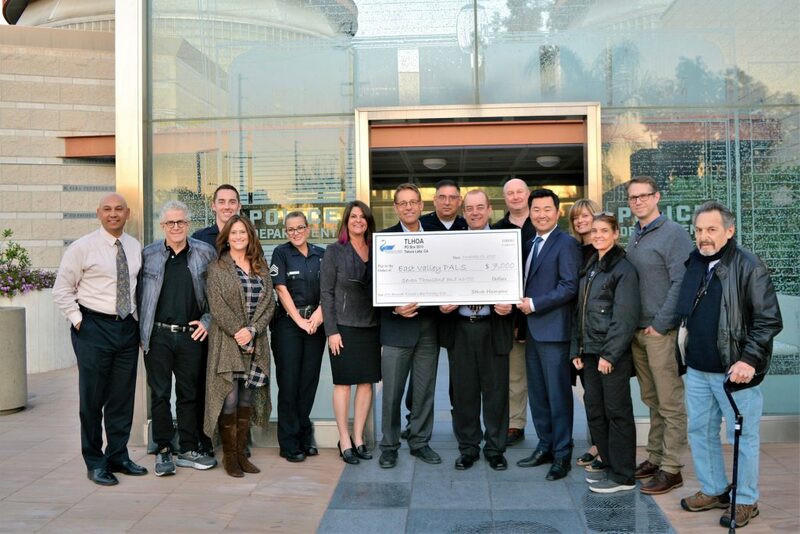 TLHOA President Steve Hampar, along with Councilmember David Ryu, VP Kari Negri, and Directors/committee members Ryan Kugler, Dana Boyd, Bob Wexler and Robyn Allen, present the check to PALS President Ross Pendergraft and the North Hollywood LAPD. A special check presentation took place on February 7 at the Los Angeles Police Department’s North Hollywood Station, where the $7,000 in proceeds from the Toluca Lake Homeowners Association’s sixth annual Turkey Trot was donated to the East Valley Police Activity League Supporters (PALS). 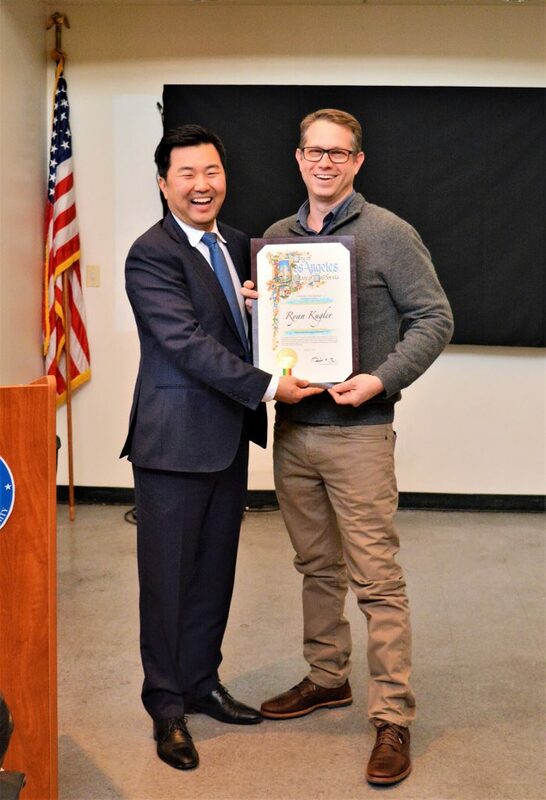 Ryu also presented a certificate to Ryan Kugler in recognition of his work as the leader of the TLHOA’s Turkey Trot organizing committee. 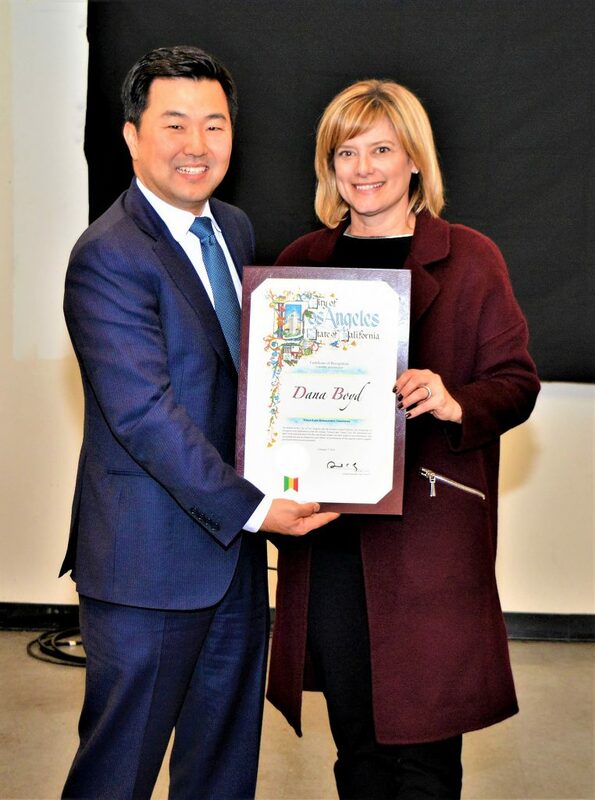 Councilmember Ryu presented a certificate of recognition from the City of Los Angeles to Dana Boyd for leading the fundraising for the Turkey Trot. Of particular importance to the communities of North Hollywood and Toluca Lake, East Valley PALS participates in, supports and strengthens community policing, serving as a communication conduit between the public and the LAPD. 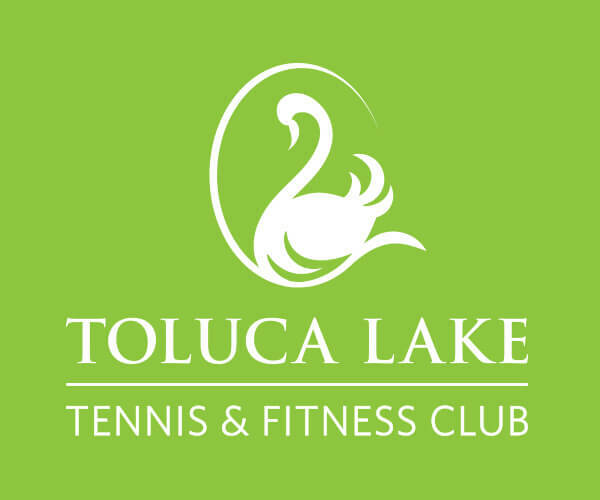 The Toluca Lake Neighborhood Watch relies heavily on this program. The LAPD’s North Hollywood Division has always been there to support and protect Toluca Lake, so this was a great opportunity to give back! For more information about East Valley PALS, visit www.NoHoPALS.com.